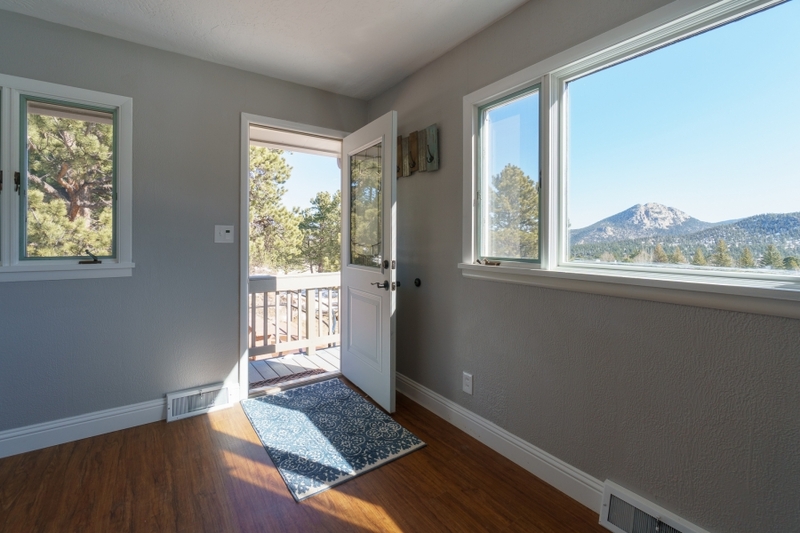 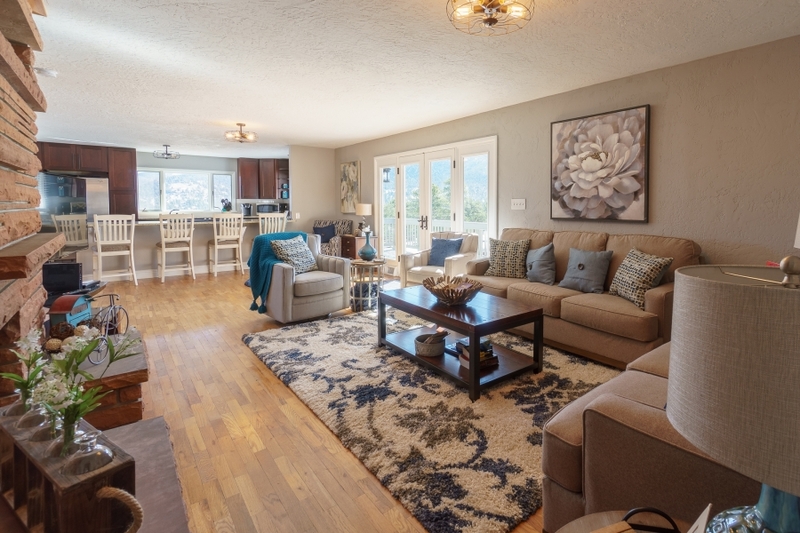 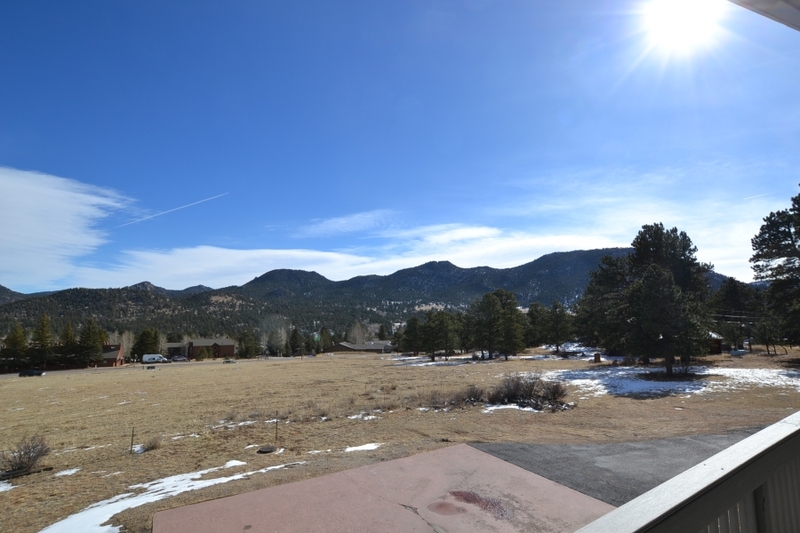 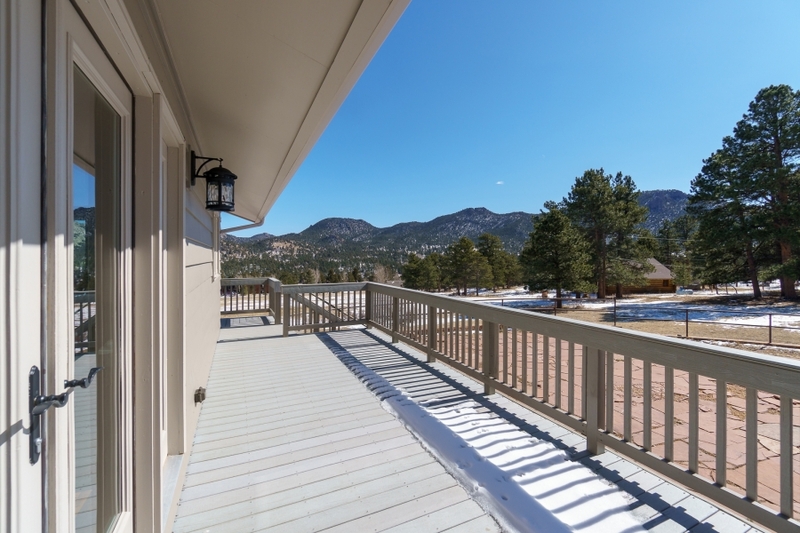 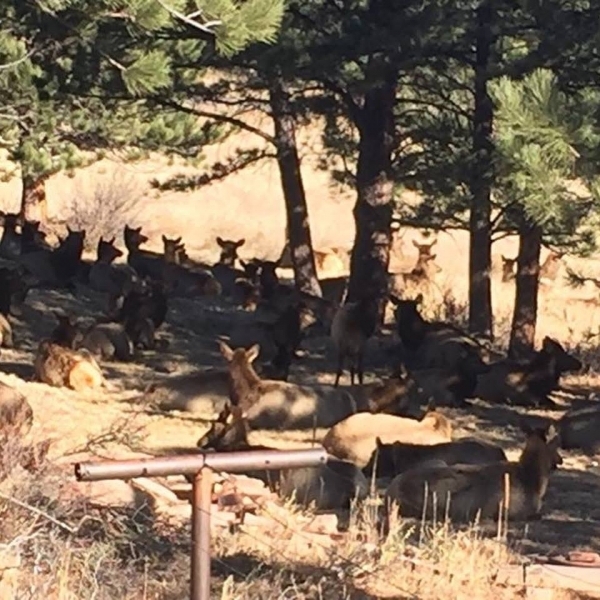 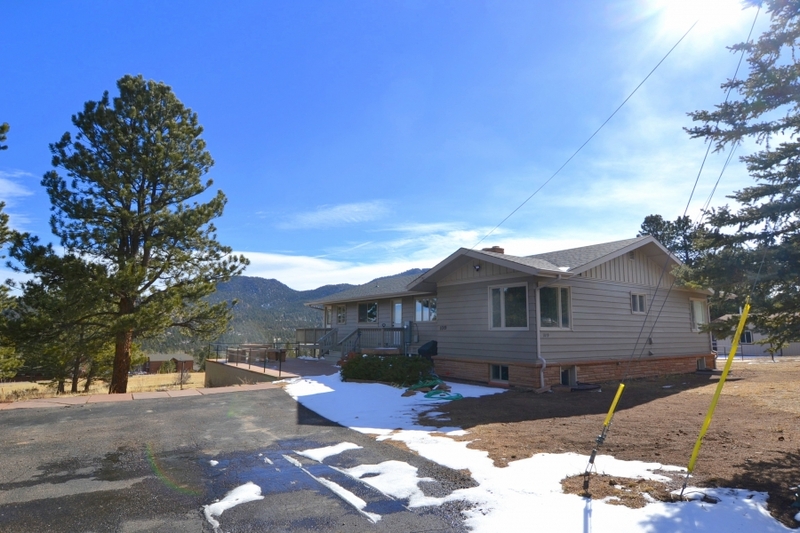 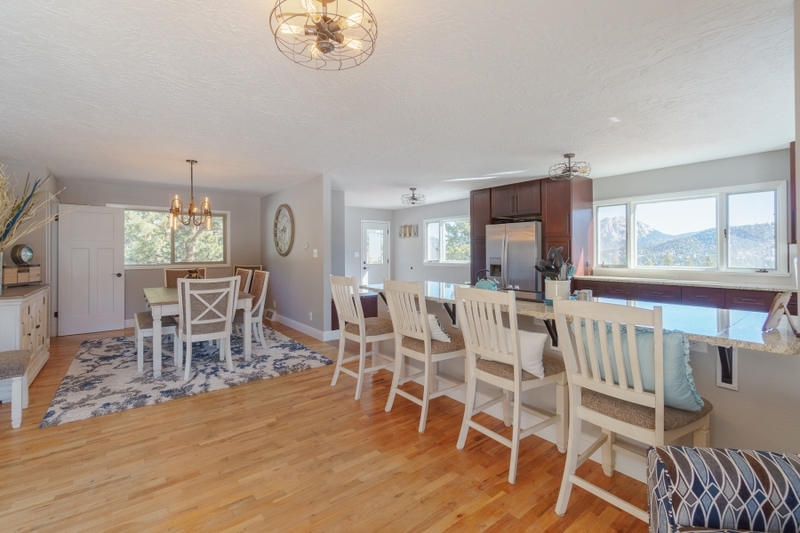 Awesome remodeled mountain house in a prime location with top of the line furnishings. 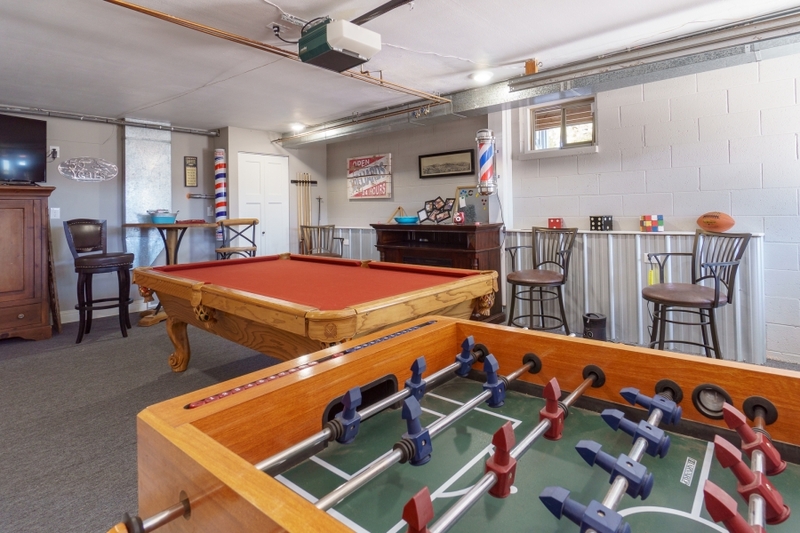 5 bedrooms 3 full bathrooms, two living areas, huge kitchen, wrap around deck, 2 fireplaces, and game room for all kinds of fun. 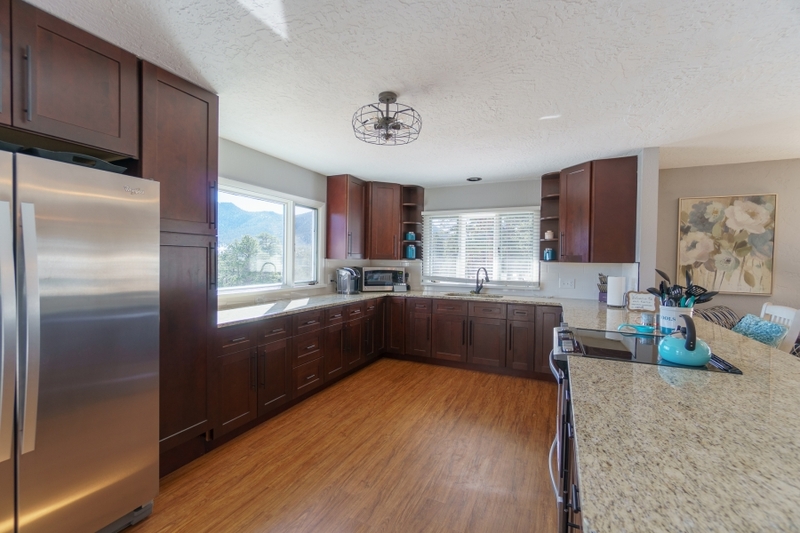 Upon entering this home you will be greeted by a large entry way and huge kitchen. 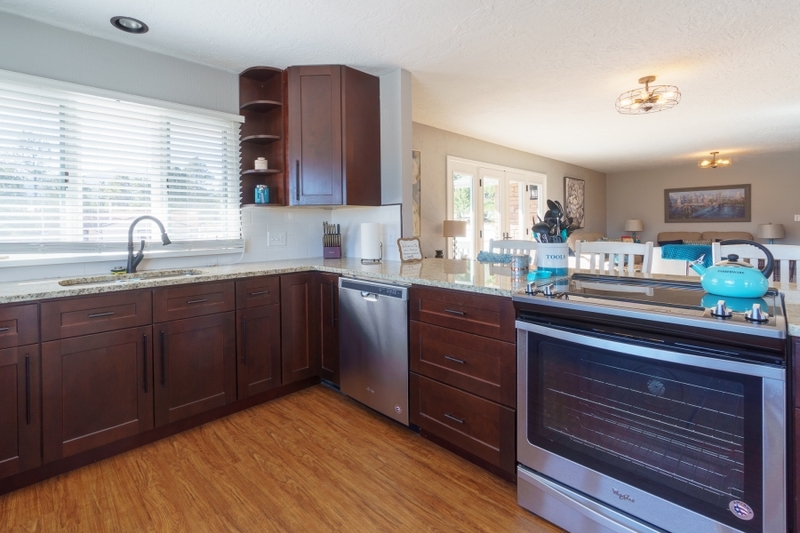 The kitchen features huge work spaces with granite counter-tops, all stainless steel appliances (side by side refrigerator, glass top stove/oven, dishwasher, and microwave), windows to the east and south to let in plenty of natural light, shaker style cabinets, and breakfast bar that seats 4. 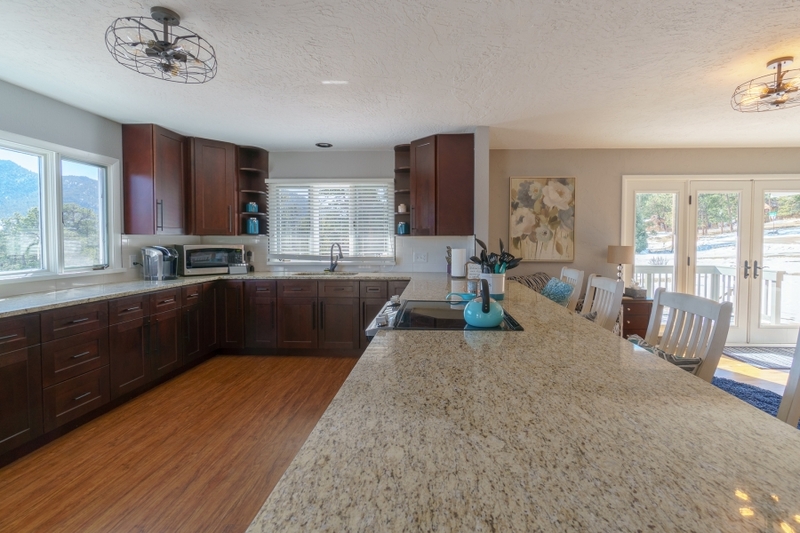 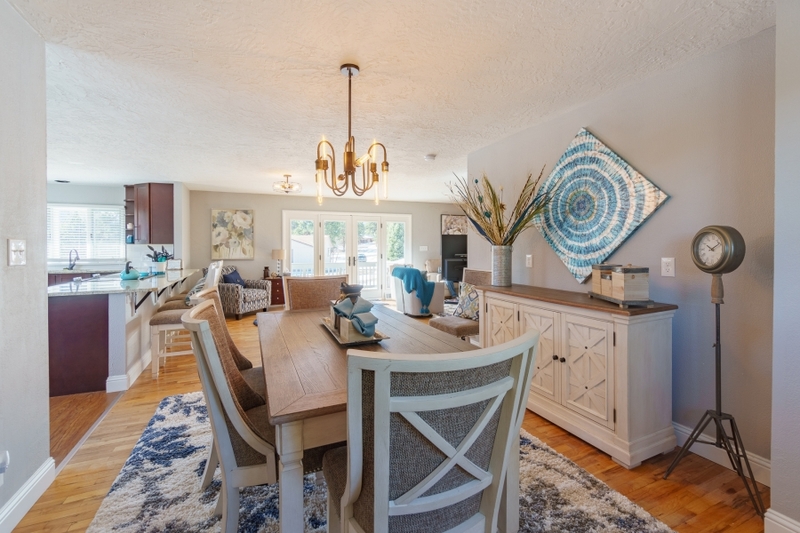 The kitchen flows into the great room and dinning room. 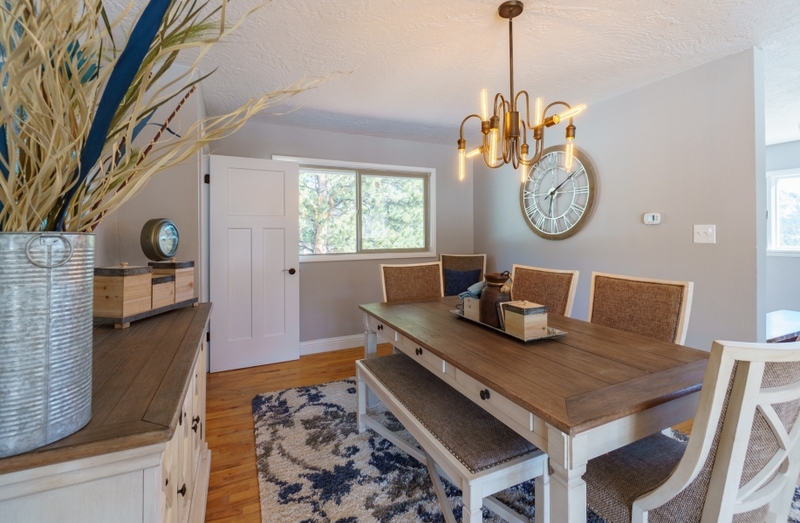 The dinning room has seating for 8, beautiful new furnishings and a north facing window for light. 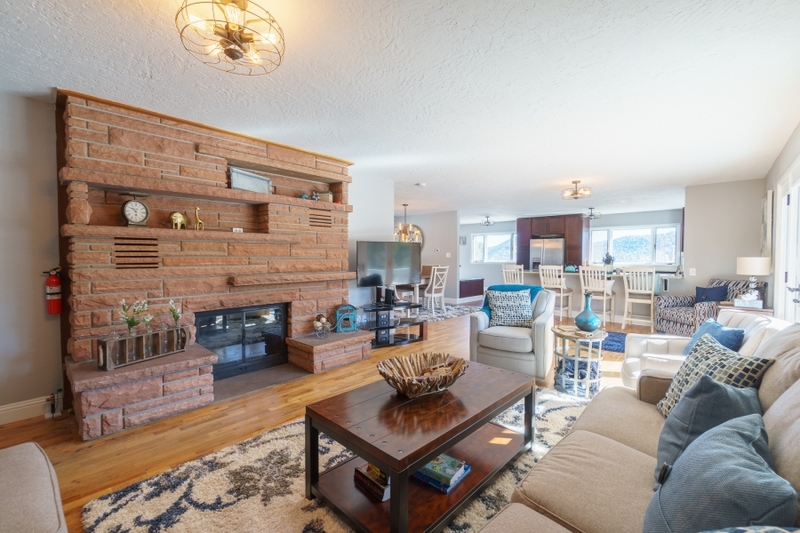 The living room has a sofa, love seat, and 2 comfortable chairs, which is the perfect setting to relax by a wood fire and watch a movie on the flat screen TV. 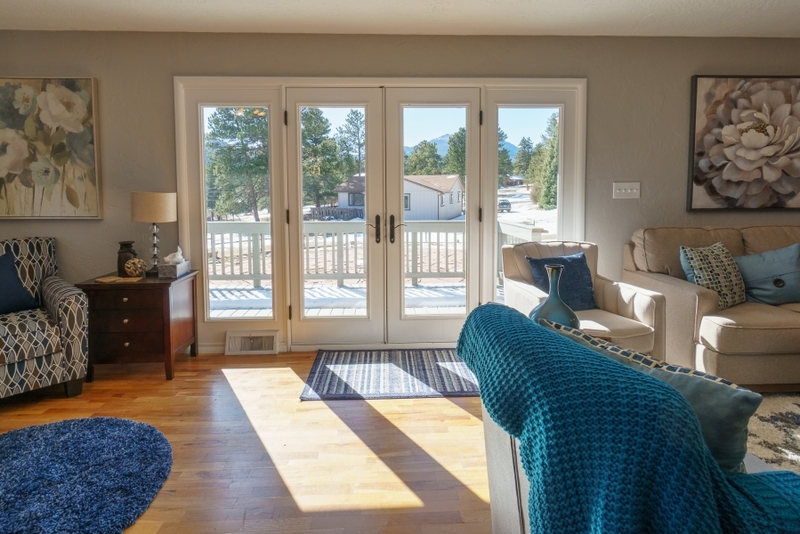 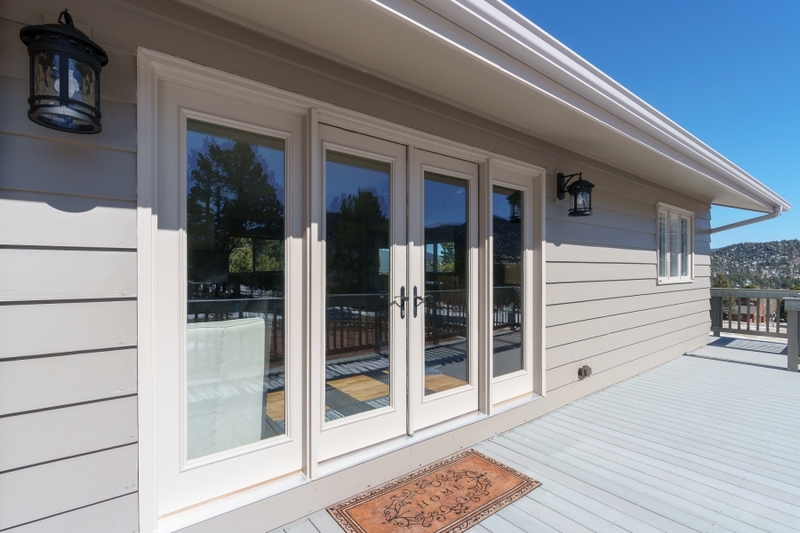 There is also a set of French door that lead out the south facing deck. 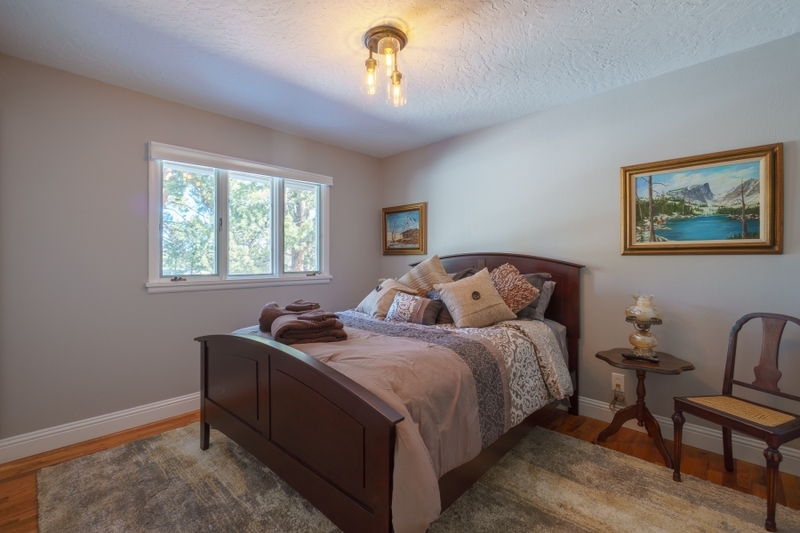 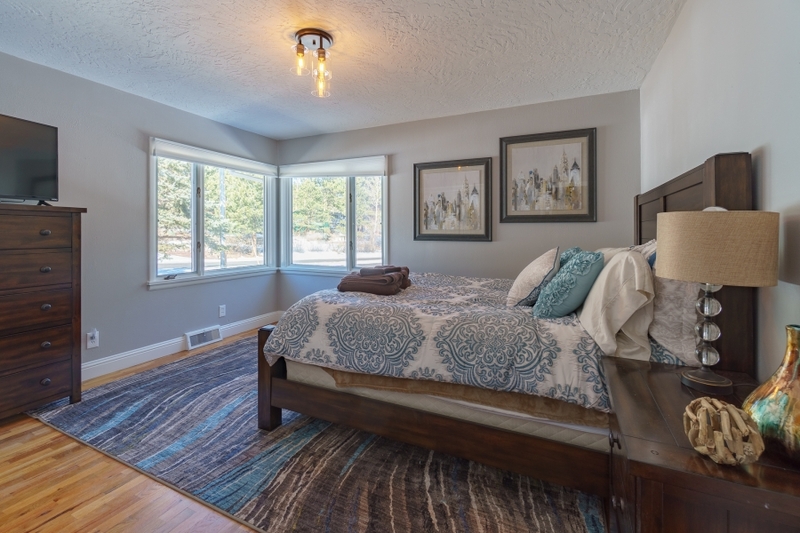 The large master bedroom features a king bed, flat screen TV, plenty of natural light and en suite 3/4 bathroom with glass shower doors and custom tiled shower. 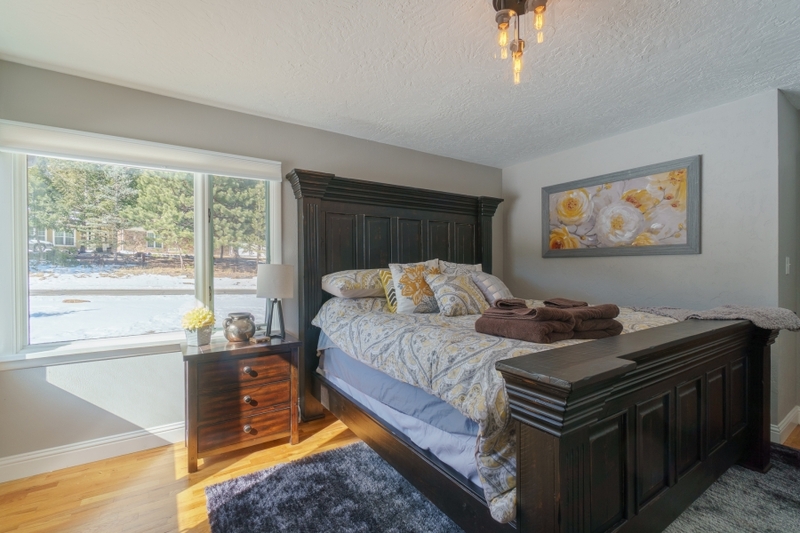 Bedroom 2 has a queen bed and wall mounted flat screen TV. 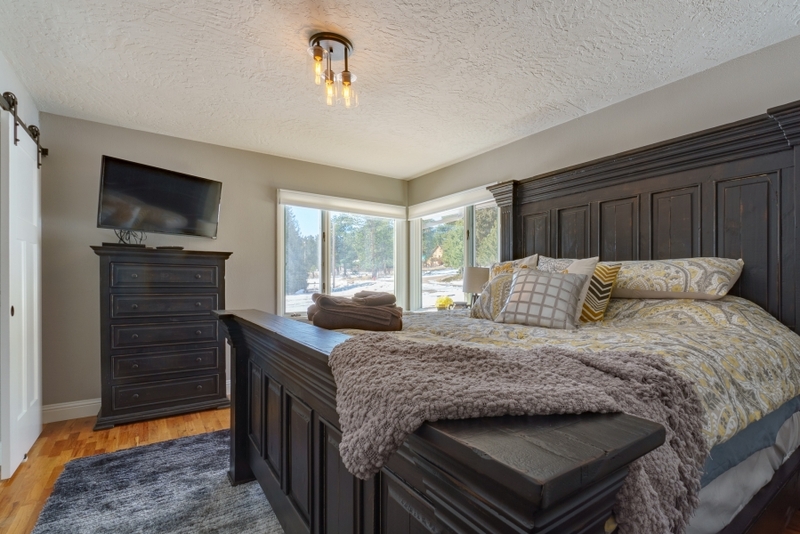 Bedroom 3 has a queen bed and flat screen TV. 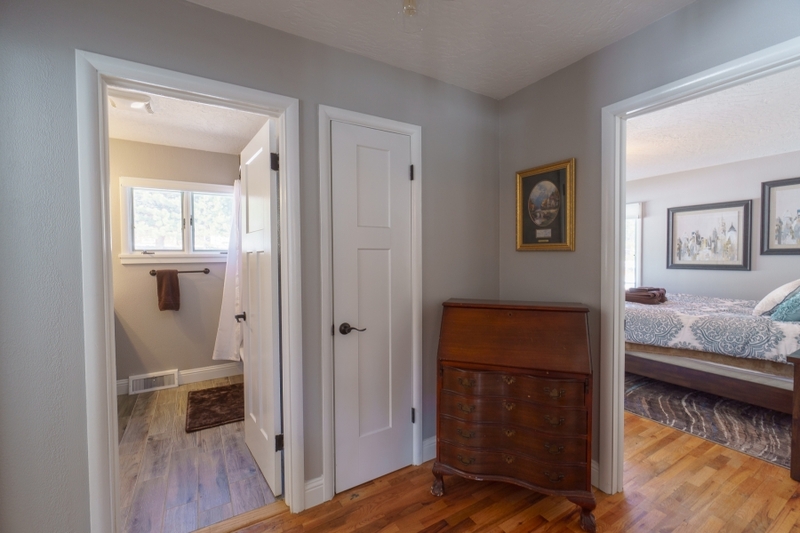 Both bedrooms 2 and 3 have access to the 2nd bathroom that is located in the hall. 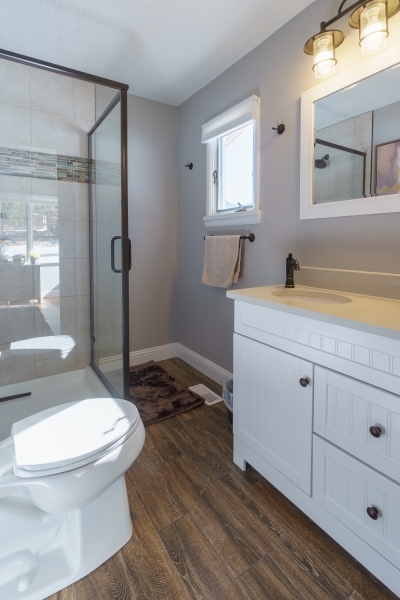 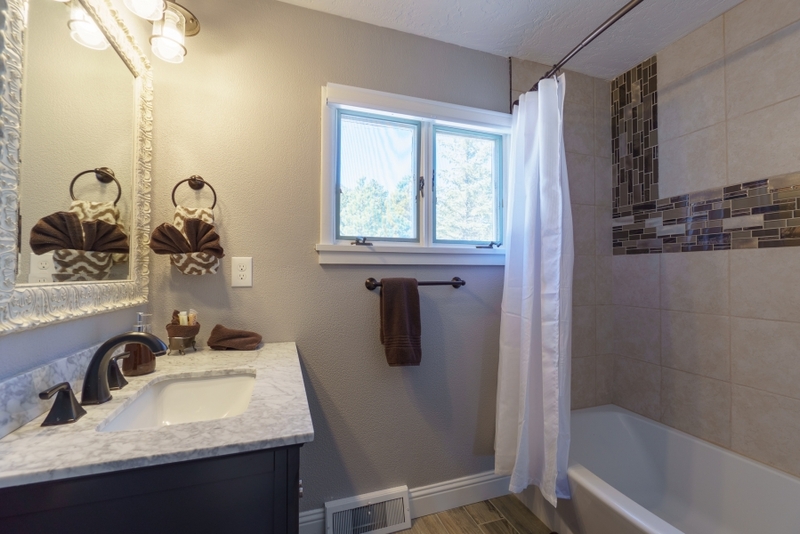 The 2nd bath is a full bathroom with Tub/Shower combo with custom tile. 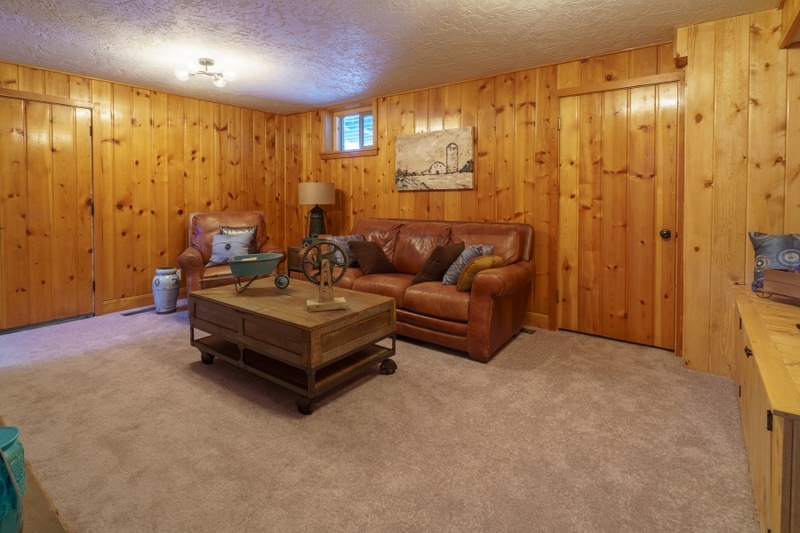 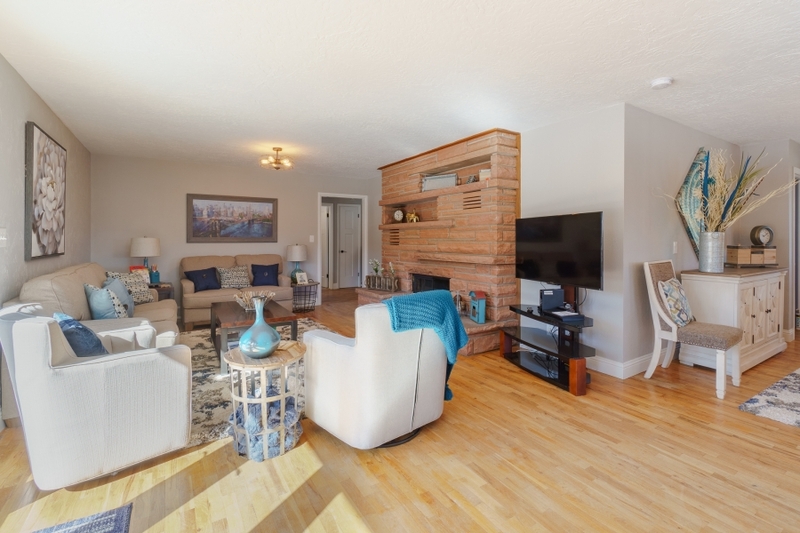 The lower level living room has wood lined walls for a classic cabin feel. 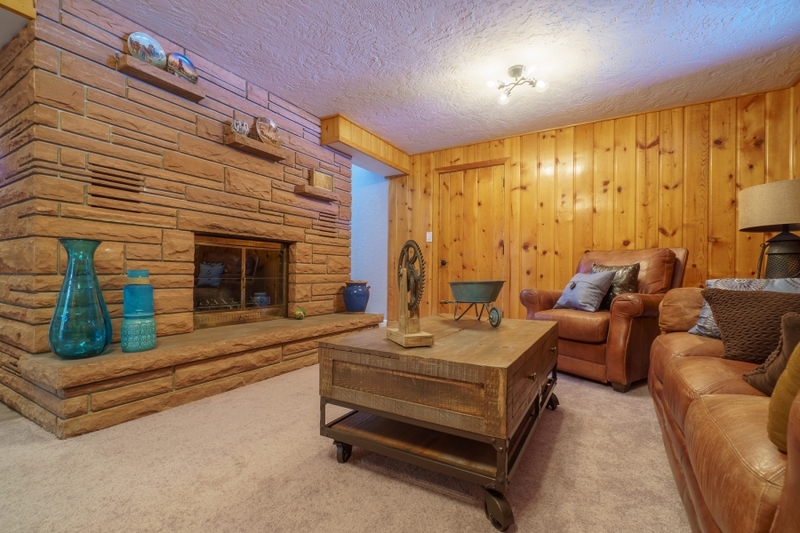 This comfortable space features a 2nd wood burning fireplace, comfortable leather sofa and chair, and flat screen TV. 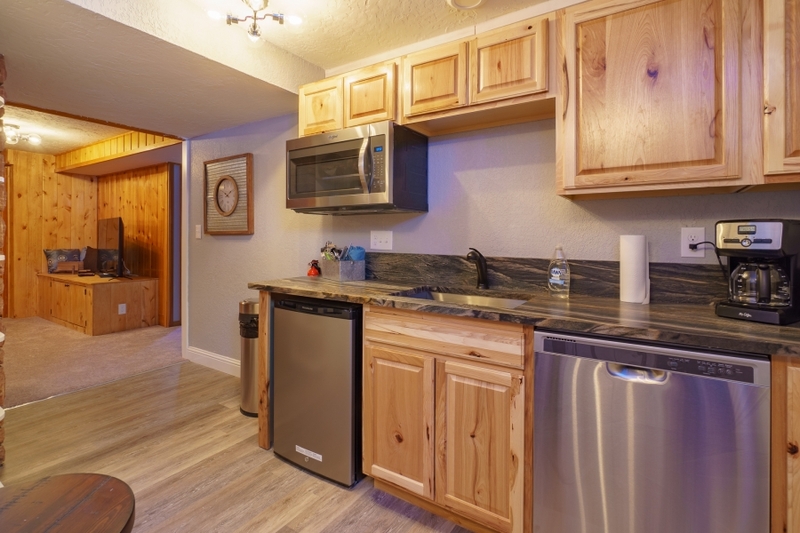 Immediately off of the lower living area is a kitchenette featuring granite counter tops, mini fridge, dishwasher, microwave, and pub table. 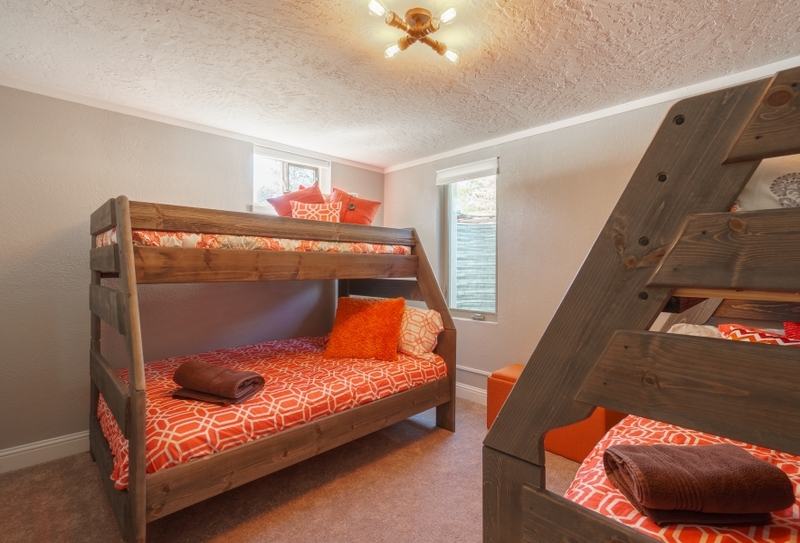 Bedroom 4 has a queen bed and flat screen TV. 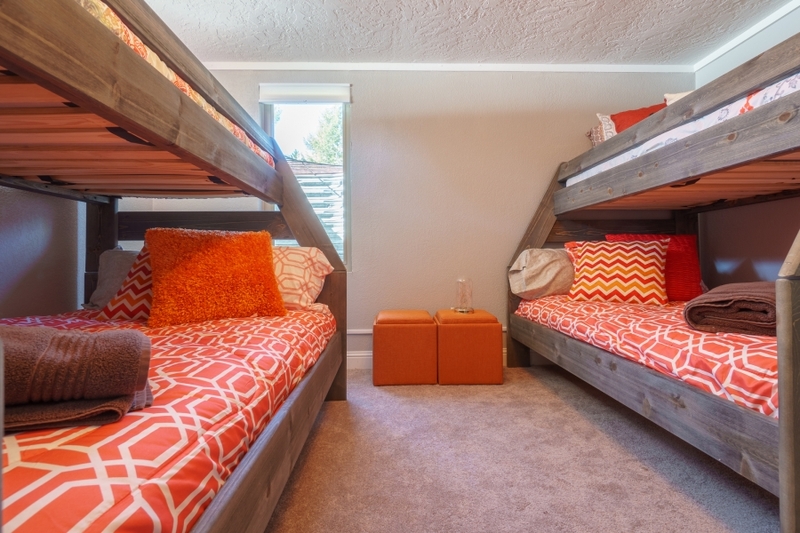 Bedroom 5 has 2 sets of Twin over full bunk beds. 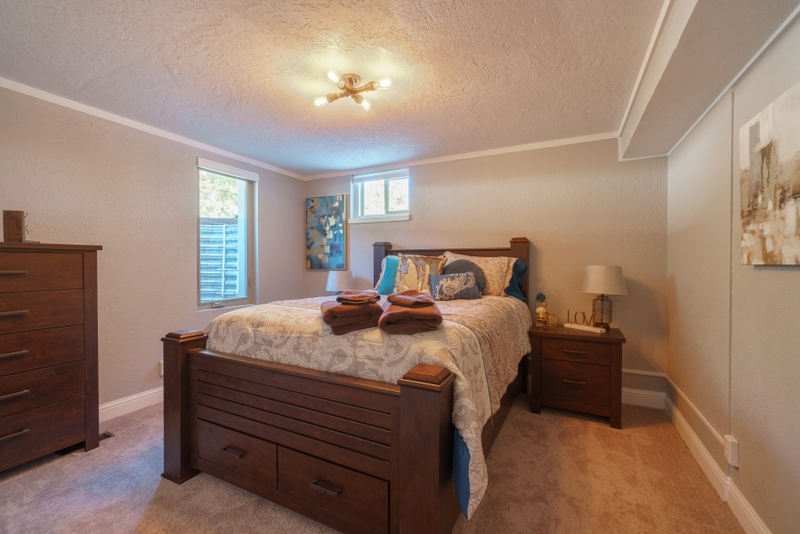 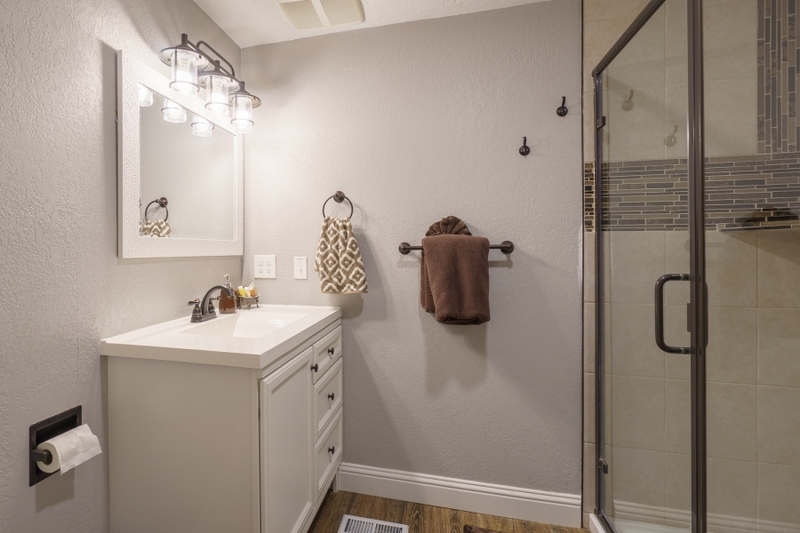 These bedrooms share bathroom 3, which is a 3/4 bath with custom tile. 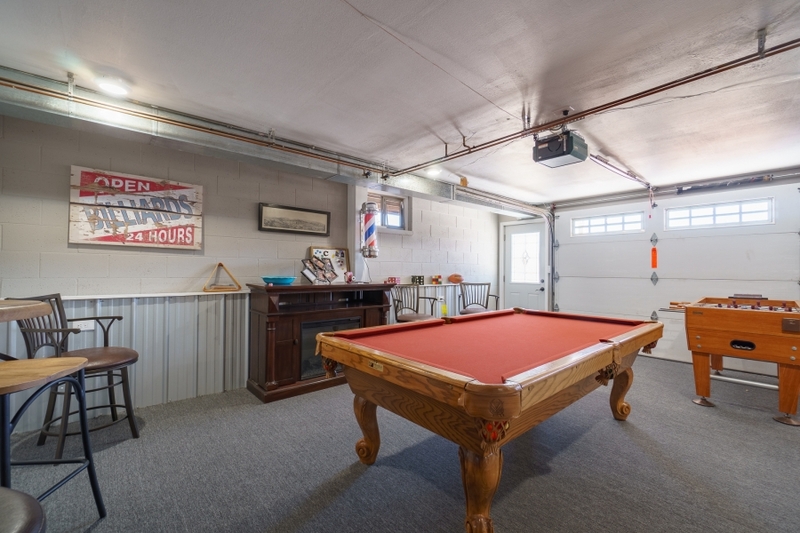 The game room is located off of the lower level living room, it is half of the garage and features a pool table, foosball table, pub table, electric fireplace, and flat screen TV. 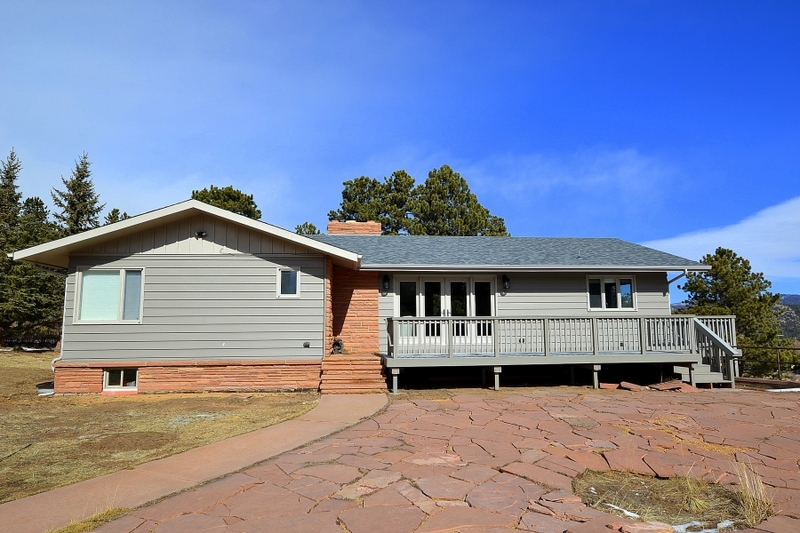 This wonderful home also has wifi, 2 sets of washers and dryers and propane grill.